Stephen Stills has never been reluctant to raise his voice in song when he sees “something happening here/what it is ain’t exactly clear.” On December 5th, 1966, Buffalo Springfield recorded those now-classic, and often-repeated words, from Stills’ song “For What It’s Worth.” Although the song quickly became a protest anthem echoing across city streets and parks where demonstrations against the Vietnam War were erupting, Stills wrote the song about the protests over curfew laws that the city of Los Angeles had imposed in November 1966 in an attempt to regulate noise and traffic congestion near clubs, such as the Whiskey Au Go Go, on Sunset Strip. Almost fifty years later, Stephen Stills has looked around him to see a similar, but much uglier, scene. Fifty years ago, protestors and police didn’t see eye-to-eye on an ordinance that would have changed urban policy and affected a small number of individuals. The protests raised far deeper questions, though, about free speech, civil discourse, respect for others, as well as the easy acceptance of violence to resolve political issues. Even more, though, each side’s refusal to see the other as human enabled each side so readily to embrace violence against each other. Fifty years ago this Saturday, Stephen Stills, then a member of Buffalo Springfield, was on his way into Hollywood to hear some live music on the Sunset Strip. But in one of those defining rock & roll moments, what he encountered was a rally: hundreds, if not thousands, of kids protesting about a new curfew and the imminent closing of one club, Pandora’s Box, by way of a fake “funeral” for it. Within weeks of this event, Stills had written – and Buffalo Springfield had recorded a song inspired by that night, “For What It’s Worth.” With its emphasis on Stills‘ spooked voice, drummer Dewey Martin’s ominous snare drum and Neil Young’s warning-bell two-note guitar part in the verse, the track became the band’s only hit, peaking at Number Seven in the spring of 1967. Yet equally striking was its sound: The eerily quiet song captured the uneasy mood of the moment that extended beyond Los Angeles to Vietnam, and lyrics about “a man with a gun over there” and “young people speaking their minds/Getting so much resistance from behind” were the sound of the rock counterculture cementing its socially conscious voice. By 1966, the situation in Los Angeles was tense. An increasing number of club goers was descending on the Strip, irritating area residents and upscale boutiques, and the LAPD instigated a 10 p.m. curfew for anyone under 18. On the night of November 12th, a local radio station announced there would be a protest at Pandora’s Box. According to reports, a fight broke out for reasons having nothing to do with the curfew; a car carrying a group of Marines was bumped by another vehicle. Egged on by that fight, the protesters (some of whom carried placards that read “We’re Your Children! Don’t Destroy Us”) trashed a city bus and threw bottles and rocks at storefronts. Approximately 1000 young music fans gathered at the Pandora’s Box club on Sunset Strip to protest a 10pm curfew imposed by local residents during the The “hippie riots” in L.A. on November 12th, 1966. “It was really four different things intertwined, including the war and the absurdity of what was happening on the Strip,” Stills later told The Los Angeles Times. “But I knew I had to skedaddle and headed back to Topanga Canyon, where I wrote my song in about 15 minutes.” The folk-blues feel of the song harked back to Stills‘ days in the Greenwich Village folk scene. If there is a wandering minstrel for a generation, some would think it would be Stephen Stills. He was a founding member of Buffalo Springfield,Crosby, Stills & Nash, Manassas and has had a great solo career to date. Stephen Stills is one of the few rock artists who can claim to have grabbed the elusive brass ring of critical and commercial success not just once or even twice, but three times. All milestones for sure, but these three classics have tended to obscure the rest of Stephen Stills’ work. And that’s unfortunate, because in Stills’ canon is an often overlooked gem in many ways the equal of his other projects: an album called Manassas, made by a band of the same name. 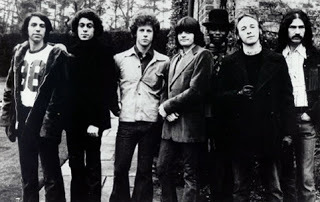 This seven-piece aggregation was assembled by combining players from Stephen Stills’ road band with others from the last incarnation of the Flying Burrito Brothers, which included ex-Byrds’ bassist Chris Hillman. So, though Stills was the acknowledged leader, officially Manassas has always correctly been referred to as a band — one with a “benevolent dictator” perhaps, but a band nonetheless. One could hear the influences weaving in and out of the mix, courtesy of: Al Perkins’ pedal steel; Joe Lala’s percussion work; the tight-but-loose rhythm section of bassist Calvin Samuels and drummer Dallas Taylor; the stellar presence of keyboard ace Paul Harris; and the tenor harmony voice and rhythm guitar of Chris Hillman. And let’s not forget Stephen Stills himself, writing and singing the songs, and playing his distinct lead guitar style, tying it all together. Even the first side is cut together as a seamless medley like production, with the other sides thematically arranged for maximum effect. Overall, think the Eagles meets Santana meets Johnny Winter, with bits of the Grateful Dead and Jimi Hendrix’s Band of Gypsies in places. Still, you have to wonder why this went under so many people’s radar, especially with the gap left by the break up of CSN (and Young) in 1970. There could be a number of reasons. First, there might have been some confusion as to what this actually was: a third Stephen Stills album or something else? After all, even the cover sports Stills’ name large above the Manassas logo. Second, it was released in April of 1972, and shortly thereafter the band went off to tour Europe. Some of the television appearances they made while over there show that when they got warmed up, they were as good as or better than most of their contemporaries. After returning to the U.S., Manassas had to make time to accommodate Chris Hillman’s commitment to prep for a Byrds’ reunion tour starting in October, which might have slowed their momentum. Finally, although Manassas did make the Top 10 in the album charts that year, it contained no successful single. But the Crosby and Nash duo effort released around the same time contained a Top 40 single, “Immigration Man.” Perhaps more significantly, Neil Young’s 1972 best-selling chart topper Harvest featured the singles “Heart of Gold,” which went to No. 1 in the charts, and “Old Man,” which reached the Top 40. Eventually, various outside factors, including Hillman starting the Souther-Hillman-Furay Band and Stills and reuniting Crosby Stills Nash and Young for a major world tour in 1974, would cause Manassas to officially call it quits in late 1973. At least they left behind one great album to document their short existence, and maybe one day Manassas will take its place alongside Stephen Stills’ other, more famous contributions to rock ‘n’ roll. Stephen has reached 71 on his last birthday. Stephen Stills is able to claim that he played at the 3 most important music festival of the 60’s. Monterey International Pop in 1967, Woodstock in August of 1969 and Altamont in December. of 1969. On his first solo album “Stephen Stills”, he had both Jimi Hendrix and Eric Clapton play for him. And he’s ‘Still’ playing. Is there anyone piece of his work that is your very favorite? Jefferson Airplane recorded their own version of the song for their controversial fifth album, “Volunteers”. Written by Stephen Stills, David Crosby, and Crosby’s onetime roommate, Jefferson Airplane/Starship’s Paul Kantner, “Wooden Ships” is generally interpreted as a veiled look at the aftermath of nuclear holocaust. The song was written during a period when the threat of a final nuclear war was uppermost in so many minds, during the ‘60s crisis in Indochina and heightened tensions between the United States and the USSR. Artists like Barry McGuire, with his throaty “Eve of Destruction,” and songwriting satirist Tom Lehrer, with his pretty-damned-funny “We Will All Go Together When We Go,” addressed the same theme. But CSN, with their wonderful harmonies and Stills’ great performance on several instruments, made a thing of beauty from a decidedly less-than-cheery premise. Crosby told the website MusicRadar in 2012 that the song is, indeed, about a dismal subject that numerous books and movies had addressed before, and have made millions of dollars from since, from The Time Machine to The Terminator. “I had that set of (chord) changes,” Crosby said. “Stephen added to them … and we all wrote the song. It’s a post-apocalyptic story. The world has gone to hell … The idea was that we were sort of sailing away from that madness. It’s the song that Jackson [Browne] wrote For Everyman in response to. It’s him saying, ‘Hey, we don’t all have a sailboat to sail away in. We have to stay here and fix it for everybody. That’s a fantasy that you’re writing.’” Kantner and his Jefferson Airplane bandmates recorded their own version of the song shortly after CSN’s for their controversial fifth album, Volunteers. JA’s version was awesome in its own right and is actually preferred by many, though it had a darker tone and less musicality than CSN’s. It’s hard to think of a lyric much more depressing than Horror grips us as we watch you die/ All we can do is echo your anguished cries/ Stare as all human feelings die/ We are leaving, you don’t need us. Well, nearly half a century later, the world is still here, but we still worry about and pontificate about an apocalyptic event as much now as we did then. And we probably will until, well, until it happens. In the meantime, we can keep hoping and praying for a wooden ship for the survivors to sail away in. Neil Young and Stephen Stills performed together on Saturday, April 25 at the Hollywood Pantages Theatre in Los Angeles.They reunited on the Pantages stage a few miles east of their old stomping grounds Saturday night, delivering a short but powerful set to close out an autism benefit concert that also featured Steve Earle, Shawn Colvin and a raucous guitar auction won by Brad Pitt, whose $23,000 bid trumped that of auctioneer Jack Black and others to land him a Fender Stratocaster signed by all the performers. Young, 69, and Stills, 70, played with chemistry and charisma, two Sixties legends who have somehow managed to reinvent themselves again and again, navigating the perils of rock stardom that felled so many of their contemporaries. “We’ve been through some things together,” Young sang, opening the nine-song set with “Long May You Run,” the 1976 song from the short-lived Stills-Young Band. Young’s high tenor was strong, clear, melodic. Stills had more rasp in his voice, and those notes at the top of his range often proved elusive. Stephen Stills, widely regarded as a virtuoso, played ambitious solos with a deft precision. And yet it was Young, with his simpler runs, who more often hit the sonic peaks — summoning otherworldly growls, demons and shrieks from his battered black Les Paul. Young’s guitar vocabulary may not be extensive, but he’s hard to beat when it comes to playing with power and emotion. Then there are the songs themselves. The lyrics these men wrote decades ago still have relevance today. “For What It’s Worth,” a Stills song inspired by the Sunset Strip riots of 1966, might just as well have been written following the protests in Ferguson, Mo. The pair reunited for a nine-song set as part of the third annual Light Up The Blues benefit concert in aid of autism. Neil and Stephen perform this classic tune as part of the Light Up the Blues – Autism Speaks benefit on April 25, 2015. Shot in HD from the balcony DFC with my Samsung WB250F, and authored by yours truly with 24-bit audio from my Sony PCM-M10(AT853 mics). The event was hosted by Stills and his wife Kristen, and also featured sets from Steve Earle and Shawn Colvin. Light Up The Blues Benefit for Autism Speaks. This is the events 3rd year raising funds and awareness for autism. In 1972, Stephen Stills formed a new band called ‘Manassas’ and on April 12th they released their debut double LP of the same name. A sprawling masterpiece, akin to the Beatles‘ White Album, the Stones‘ Exile on Main St., or Wilco‘s Being There in its makeup, if not its sound. 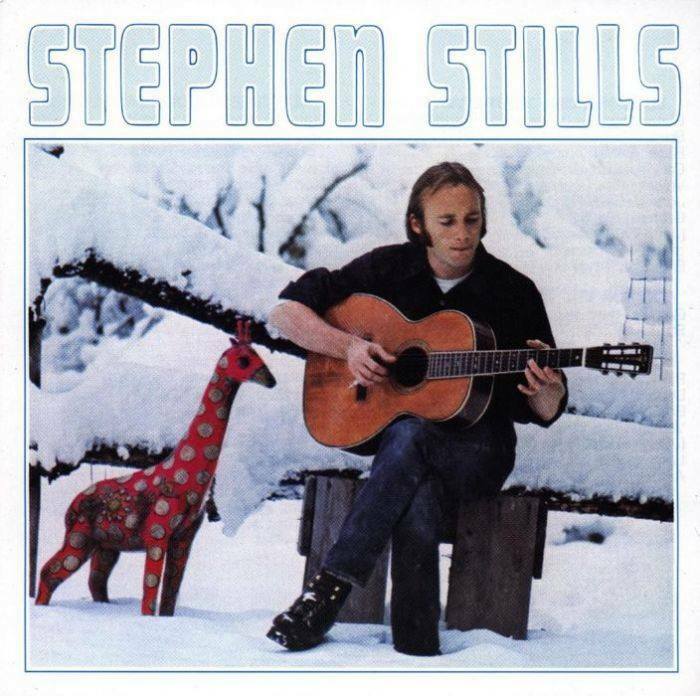 Rock, folk, blues, country, Latin, and bluegrass have all been styles touched on in Stephen Stills‘ career, and the skilled, energetic musicians he had gathered in Manassas played them all on this album. What could have been a disorganized mess in other hands, though, here all gelled together and formed a cohesive musical statement. The songs are thematically grouped: part one (side one on the original vinyl release) is titled “The Raven,” and is a composite of rock and Latin sounds that the group would often perform in full live. “The Wilderness” mainly centers on country and bluegrass (Chris Hillman‘s and Al Perkins‘ talents coming to the forefront), with the track “So Begins the Task” later covered by Stills‘ old flame Judy Collins. Part three, “Consider” is largely folk and folk-rock. “Johnny’s Garden,” reportedly for the caretaker at Stills‘ English manor house and not for John Lennon as is often thought, is a particular highlight. Two other notables from the “Consider” section are “It Doesn’t Matter” (later redone with different lyrics by the song’s uncredited co-writer Rick Roberts on the first Firefall album) and “Move Around,” which features some of the first synthesizer used in a rock context. The closing section, titled “Rock & Roll Is Here to Stay,” is a rock and blues set with one of the landmarks of Manassas‘ short life, the epic “The Treasure.” A sort of Zen-like meditation on love and “oneness,” enlivened by the band’s most inspired recorded playing it evolves into a bluesy groove washed in Stills‘ fierce electric slide playing. The delineation lines of the four themed song groupings aren’t cut in stone, though, and one of the strengths of the album is that there is a lot of overlap in styles throughout. The CD reissue’s remastered sound is excellent, though missed is the foldout poster and handwritten lyrics from the original vinyl release. Unfortunately, the album has been somewhat overlooked over the years, even though Stephen Stills considers it some of the best work he has done. “It Doesn’t Matter” was released as a single and Bill Wyman of the Rolling Stones plays bass on and co-authored “The Love Gangster” and is reported to have said that he would have left the Stones to join Manassas. Manassas marked a critical comeback for Stills, reviewers calling it a “sprawling masterpiece. The album debuted on the Billboard Top LP’s chart for the week ending April 29th, 1972 . Stephen Stills’ album shared the Top 10 with an album by David Crosby and Graham Nash (Graham Nash David Crosby) and an album by Neil Young (Harvest), and.with Crosby, Stills, Nash & Young, Stephen Stills, Chris Hillman, Chris Hillman and Dallas Taylor. This was recorded for Beat-Club (not for the often misquoted MusikLaden, which replaced Beat-Club on December 13, 1972). The show was broadcast on March 25, 1972 (referred to as Episode #1.77). Any corrections are most welcome.The broadcast seems to showcase Side A of the forthcoming double album release (April 12, 1972) almost in its entirety and track-by-track. Manassas was a fairly short-lived project, but a highly creative one. The double album was in a sense a concept album of different genres from which the band could quite easily and most skilfully draw upon. Crosby, Stills & Nash’s The Acoustic Concert is mastered with a loud and full sound. Videotaped at a 1991 show in San Francisco that was done as a memorial to the group’s friend, Bill Graham, there is more here than meets the eye — indeed, what initially meets the eye is most unpromising, the decidedly overweight presence of David Crosby and Stephen Stills, Graham Nash’s metabolism won’t let him gain weight. But as it turns out the group vocal prowess is still very much intact, because they harmonize magnificently far better, in fact, than they generally did at Woodstock, and despite its being credited as The Acoustic Concert, that doesn’t stop Stephen Stills from picking up an electric guitar to add a little appropriate wattage to “Deja Vu,” “Just a Song Before I Go,” and more. Graham Nash, whose guitar was seldom ever even plugged in when he was in the Hollies, gets to play a little acoustic guitar on “Marrakesh Express,” in the midst of a superb lead vocal performance. “To the Last Whale” is presented visually as more of a conceptual video than anything else here, in its opening, before the camera returns to the stage for the song’s second half (featuring Nash on grand piano). Neil Young, though absent, gets a song dedicated to him in “Try to Find Me.” When Stephen Stills takes center stage for his spot, he delivers a loud, crunchy rendition of “For What It’s Worth” that’s more a deconstruction of the song than a performance — much more successful are the resurrections of “Suite: Judy Blue Eyes” (to which he tacks on an extended acoustic guitar coda that incorporates elements of “Carry On,” and a high-speed solo in which he sounds like he’s playing 16th notes) and other early songs by the trio. The cameras are constantly in motion and the editing keeps the eye moving and occupied, and the show was more than good enough to occupy the ear as well, especially with the audio quality as good as it is here. On Nov. 16, 1970, Stephen Stills released his first solo Album, simply titled “Stephen Stills”. It consists of songs written by Stills and is one of four high-profile albums released by each member of Crosby, Stills, Nash & Young in the wake of their 1970 chart-topping album Déjà Vu. The album features an array of well-known artists. Backing vocalists included David Crosby, Graham Nash, John Sebastion with Eric Clapton, “Mama” Cass Elliot, , Crosby, Stills, Nash & Young, and Jimi Hendrix. with also Rita Coolidge and CSNY drummers Dallas Taylor and Johnny Barbata. It provided Stills with the hit single “Love The One You’re With.” Stills followed this up with Stephen Stills 2, which featured “Change Partners.” Even though the song was written before CSN formed, Nash saw it as a metaphor for the many relationships in CSNY.